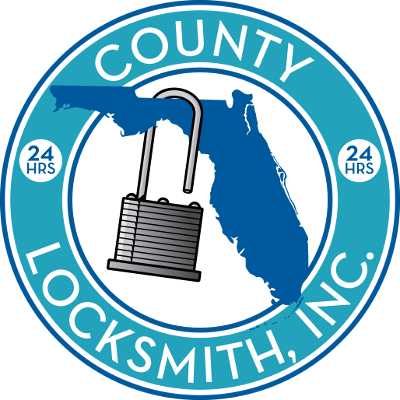 County Locksmith, Inc assumes no responsibility for any consequences relating directly or indirectly to any action or inaction you take based on the information or material provided on this website. While we (County Locksmith, Inc,) take reasonable measure to keep all information on this website as accurate as possible and complete up-to-date, we will not be responsible for any damages or loss related to the inaccuracy, incomplete or lack of timeless of the information. US residence and citizens only. This website abide by us laws only therefore if you don’t reside in the US while accessing this site then you are forbidden from using this website. All information and material on this website including all intellectual property rights thereto, including copyrights, trademarks, service marks, trade names and trade dress are all owned by County Locksmith, Inc or its affiliates. You agree not to copy, reproduce, republish, transmit, modify or distribute any material contained in this website unless we have given you written permission. The material provided on this website are provided as is and without any warranty of any kind, expressed or implied. County Locksmith, Inc disclaims all expressed or implied warranties with regard to information and material published on this website including without limitation implied warranties of merchant ability, fitness for any particular purpose, and non infringement. This website may include links to other internet websites that are beyond the control of County Locksmith, Inc. County Locksmith, Inc. is not responsible for the content of any such websites and we (County Locksmith, Inc) make no representation regarding such websites, and does not necessarily endorse or approve of the information, publication, material, products or services contained with linked website. You acknowledge and agree that our linking, your linking to other websites, you use of other websites and your use of any information, material, publication, products and services offered by such websites, are solely your risk and responsibility. In no event shall we (County locksmith, Inc.), its employees, partners, affiliates, contributors for this website be liable for any and all loss, injury and damages, whether direct or indirect, special, punitive, incidental, exemplary, consequential or otherwise whether based on breach of contract, tort (including negligence), product liability or otherwise resulting from your access or use of this website. You hereby waive any and all such claims against County Locksmith, Inc, its employees, partners, affiliates, contributors and subcontractors. You agree that the limitations set forth above are fundamental elements of this agreement and that this website and its material, publication and information would not be provided to you absent such limitations. Some states restrict this limitation of liability. You agree that you will not use this website for any unlawful purpose, or for any purpose prohibited by these Terms of Service and Use. You agree to indemnify, defend and hold harmless County Locksmith, inc, employees, partners, affiliate, contributors and subcontractors from any liability, loss, claims and expense (including attorney’s reasonable fees) relates to (i) your violation of these terms of Service and Use. and/or (ii) your posting, use of material on this website. County Locksmith and its employees, partners, affiliates, contributors and subcontractors failure to insist upon strict enforcement or any provision of this agreement shall not be construed as a waiver of any provision or rights. County Locksmith Inc will not sell any personal information from any of our customers. any information here is solely used for providing customer support, product support and to provide local service to our customers. this website does not retain any any credit card information submitted for product or services ordered. When ordering service through this website or through any means of communication you agree to our terms of service. by ordering our services you agree to contract County Locksmith Inc as your service provider and authorize County Locksmith Inc and its employees to perform service, work, labor and installation for any product or services we provide. You agree to pay and compensate in full County Locksmith Inc, its employees and and subcontractors for all service performed and products installed whether in cash or credit card. You agree to pay our standard trip charge at the rate of $85.00 when you request our services unless we agree to lower or change the rate through any means of communication. Services ordered though this website or through any means of communication may be cancel within 5 minutes of ordering any non emergency service. Emergency service cannot be cancelled unless County Locksmith Inc or its employees agree to the cancellation in writing or electronic communication by text or email. Any verbal cancellation for emergency service is not valid proof of cancellation. you agree to pay our standard labor for general non specialty locksmith service at the rate of $85.00 per hour for 1st tech onsite and $42.50 per hour for each additional tech thereafter. You agree to pay for any and all labor that requires safe service, safe repairs, safe installation, access control service, access control installation at the rate of $125.00 per hour for 1st tech onsite and $62.50 for each additional tech thereafter. All items and products that are not special order or may be returned for a refund minus 25% restocking fee and shipping charges within 30 days and must have an authorized RMA from us or it will be rejected. all Special orders ,items products and services are non refundable and cannot be returned or refunded. It is at our discretion to accept any product that has been removed from original packaging. You will be charged a 25% restocking fee and must be returned with it original packaging and must include all material that was originally include with product. any material missing from its original product is not eligible for refund. special ordered products are final sale and are non returnable and non refundable. please consider carefully when ordering special order products. products considered special order are, safes, non stock items or products and products available on back order. We reserve the right to our own sole discretion to accept return for defective product after 30 day or to direct you to seek warranty through manufacture. Any items damaged during shipping must be reported immediately within 24 hrs of receiving shipment, if after 24hrs you have not claimed any damages to us returns may be rejected. Technical support is provided for products that we have physically installed for our customers and any product that have been installed by County locksmith inc, will have a one year warranty through us. If we did not install the item or product, customer must call manufacture for warranty and technical support. Most of our safe are delivered using LTL services (less than truck load). LTL freight drivers will only deliver Monday – Fridays 8:00 am to 5:00 pm exclude holidays and weekends. Once the safe is delivered and signed off, Ownership of safe is transferred to you when you or designated responsibility party signs and accepts the delivery on the ” Received By” is signed. Driver will contact you for delivery schedule, it is you responsibility to be there or designate a 3rd party to accept and sign off on delivery acceptance there will be no exceptions. Driver will not deliver if driveway is excessively long and steep. Drive way must be smoothed and no more that 2% slope. anything beyond may require additional men and white Glove Service. Please call our toll-free # 1 (833) 444-LOCK 5625. All standard delivery will be curbside only, not in garage or in-house. Customer is subject to any additional fee imposed by tolls and extra handling from downtown location with no reasonable loading dock or close loading zone, narrow lanes, alleys or bridges, islands or location requiring ferry boats, gated communities restricting trucks, unpaved roads, remote rural locations, if you are in any of these ares please call toll-free 1 (833) 444-LOCK 5625. Standard delivery are for US and exclude Alaska, Puerto Rico and Hawaiian islands. Please call our toll-free 1 (833) 444-LOCK 5625 for price on these excluded destinations. Most safe are shipped out of warehouse within 2 to 3 business days. and can take and additional 7 to 10 business day during transit. Inside garage delivery is available at additional cost please call our toll-free 1 (833) 444-LOCK 5625. Delivery delays may be caused by: weather, shortage of drivers, Equipment shortage, Freight processed to late for loading, Delays with other consignee on delivery route. LTL delivery may be delayed due to interstate commerce rules. Commercial delivery will be done at loading dock or curbside if no loading dock is available. All deliveries are delivered using large trucks and destination must be accessible with commercial truck (tractor-Trailers). Any location not accessible with large truck are subject to additional charges for extra handling. If consignee if not there when LTL truck arrives there will be additional charges for storage. The customer is responsible for any additional charges. Additional charges for destinations to zip codes 98261,98281,98243,98245,98279,98280,98297,98286,98070,98250, and Will Call. Saturday and Sundays delivery will be additional, we don’t recommend weekend delivery. Most orders except safes usually ships same day if placed before noon. All standard delivery will be ground shipping. Hayman Safe Warranty All Hayman Safe Company products carry a warranty to the original retail purchaser to be free from defects in material and workmanship. Standard models are warranted for ONE (1) year from the original date of purchase. Electronic locks carry the lock manufacturer’s warranty which is normally one (1) year from the date the lock is manufactured. Custom safes carry a one (1) year warranty. These warranties apply only to new safes purchased from Hayman Safe Company or our dealers. Proof of purchase must be provided so as to establish date of purchase and supplying dealer. Hayman Safe Company will, at our option, repair or replace any defective part or unit. To obtain factory warranty service, the unit must be delivered to Hayman Safe Company or our authorized dealer, freight prepaid. Authorization must be received from Hayman Safe Company prior to performance of any warranty work. Improper installation, improper use, lack of proper maintenance or accidental damage will nullify this warranty. No other warranty, expressed or implied, is offered. This warranty cannot be changed, modified, enlarged or altered without direct written consent from Hayman Safe Company. Hayman Safe Company is not responsible for consequential damage, incidental expenses or personal injury. This warranty gives you specific legal rights. You may have other rights which vary from state to state. Gardall Lifetime Replacement Warranty: Gardall Safe Corporation assures to the original end consumer replacement – free of charge – of any Gardall Fire-Resistive Record Safe damaged beyond repair by fire with a then-current production model of a comparable value. This warranty is exclusive and in lieu of any warranty of merchant-ability, fitness for particular purpose or other warranties of qualities, whether expressed or implied, and of all other liabilities and obligations on the manufacturer’s part. Gardall Safe Corporation reserves the right to inspect any record safe prior to replacement. Copies of insurance reports or documents pertaining to fire loss will be furnished to Gardall Safe Corporation upon request. Gardall Safe Corporation specifically assumes no liability for installation or other charges incurred by the owner in connection with the replacement of any record safe and assumes no liability for damage to contents or personal property contained in any such file or any consequential damages of any nature or description. We accept all credit cards through the use of Paypal, Stripe or Amazon Payment, all credit card information is handled by credit card processing service and not by County Locksmith Inc.
Any services or products affected or destroyed by natural disaster is not covered under warranty or qualify for refund.